Boston’s bar scene was long ago shaken and stirred. Where once we were an only Irish pub kind of town, now we’re downright groundbreaking in our cocktail programs and wine lists -- and our craft beer selections are pretty great these days, too. Add in an ever-growing number of local breweries and distilleries and we can genuinely call ourselves a preeminent drinking city, even with happy hours still on ice (seriously, Beacon Hill?). We suffer only from too many choices, which is why we’ve rounded up the best of the city’s best bars -- from swanky cocktail bars to places with fantastic beer selections -- to help you figure out where to grab a drink tonight. In the former warehouse district that is now Fort Point, underneath popular Italian restaurant Sportello, you’ll find Drink, a Boston bar like no other. Drink is part of the Barbara Lynch restaurant empire, and it provides no cocktail menu, just talented bartenders lining the large, u-shaped bars who ask, "What do you feel like drinking tonight?" 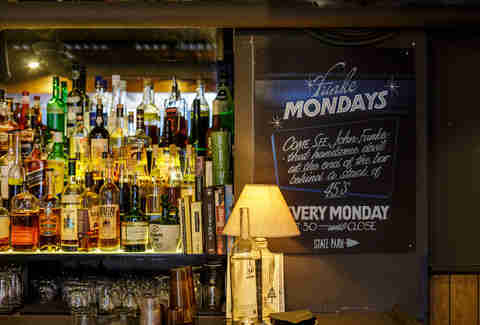 Drink’s main premise, curated by general manager Ezra Star, attracts cocktail geeks from all over the city, but -- even without the comfort of a familiar menu -- it still draws in the everyday vodka-soda drinker, too, with lines around the block on Friday and Saturday nights. It’s the perfect spot to experiment with new flavors during a cold, dark night. After ingesting so many knishes at Mamaleh’s that you feel you can ingest no more, head directly downstairs to State Park for a second round of fun. State Park was developed by the team behind the now-shuttered Hungry Mother, and it embodies all of the best things about your favorite town dive bar -- but with clean floors and a well-developed beer and cocktail program. 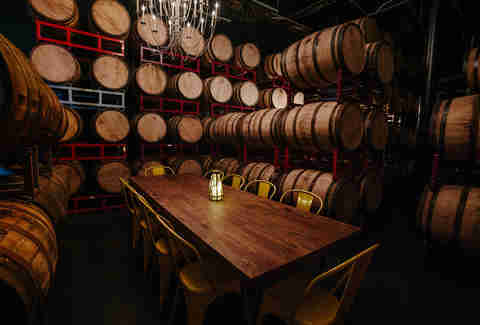 State Park’s rotating sour beers, cocktail pitchers, taxidermy, arcade games, and super-relaxed atmosphere are why this spot has been a favorite of locals and industry folk since its launch in 2014. 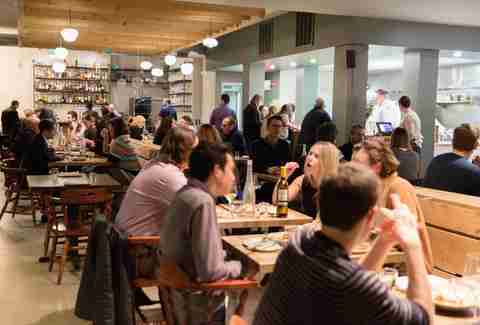 Those seeking a packed but casual -- and reservation-free -- evening out can’t do much better. 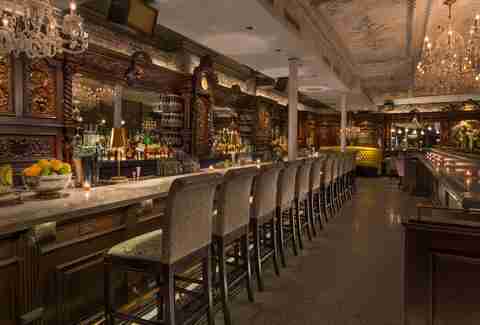 Boston’s most extravagant and opulent cocktail bar, the somewhat clandestine Yvonne’s took over the shuttered Locke-Ober, a staple in Boston’s dining history, in September 2015. The dining room, lounge, and library bar bring a renewed energy and devious spirit to one of the city’s treasures. This is the kind of dark space that's easy to spend hours in, sipping expensive drinks and losing track of time. Yvonne’s social, embellished setting carries over to the bar program, which offers an extensive list of rare wines, classic and playful cocktails (with several large format options to share), and a curated selection of packaged beers. Brought to you by skilled and inventive bartender Ran Duan, The Baldwin is an old-school cocktail bar tucked inside Duan’s parents’ Chinese restaurant, Sichuan Garden II. 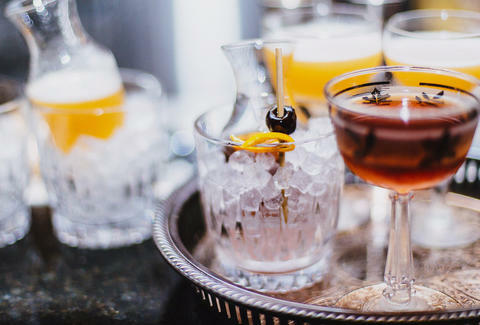 He’s reviving classic drinks with creative twists, such as pisco punches with pineapple vinegar, and offering signature ones like the fan-favorite Father’s Advice (rum, amaro, vermouth, sherry, creme de banana), all inside a 17th-century mansion. 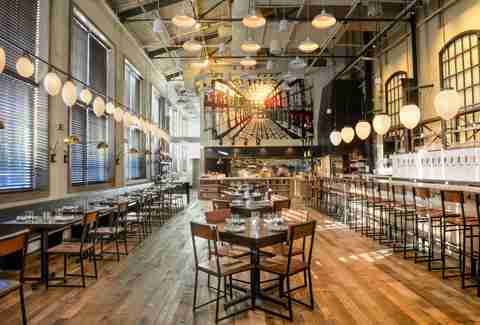 The interior features dark hardwood, black banquettes, and accessories like globes, vintage books, and bankers lamps. 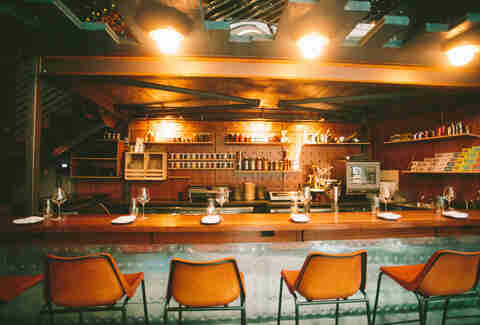 Being at Backbar feels like you’re hanging out in the garage-style living room of one of your coolest acquaintances. Once you manage to find the entrance down a dark alley, you’ll walk down a hallway into a small, well-lit space with high-top seating and a relaxed lounge corner. 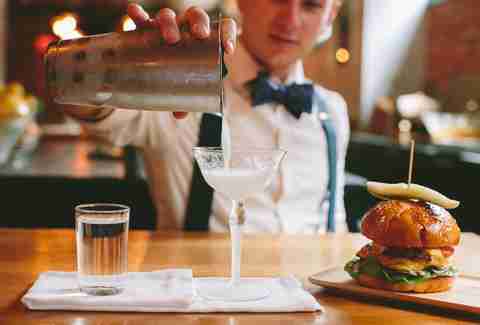 The talented team offers a seasonal menu of classics, moderns, and mocktails. 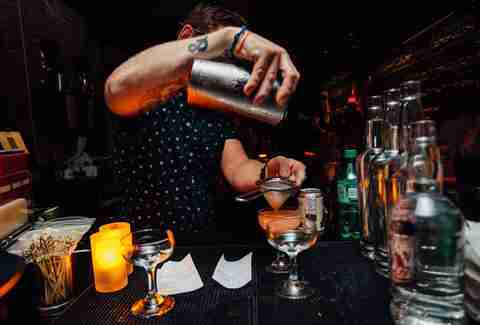 Drinks come together with fat-washed spirits, homemade brines and shrubs, and house-infused everything, yet the pretension levels are surprisingly manageable. An establishment’s beverage program is no longer just an extension of the kitchen, and Alden & Harlow is a great example of that. (Others: Townsman, Loyal Nine, Row 34, Little Donkey, and A&H’s sister restaurant Waypoint.) Bar manager Seth Freidus transforms seasonal, unexpected ingredients into crowd-pleasing cocktails at this Harvard Square hot spot. 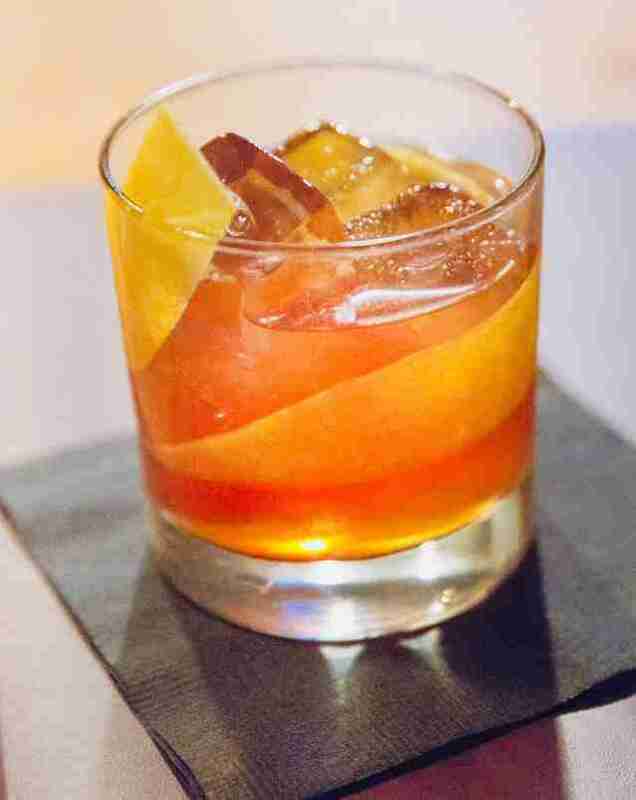 The cocktail program is a mix of rotating house cocktails and refined takes on the classics. The wine and beer selections offer just the right mix of classic and new products, from here and around the globe. 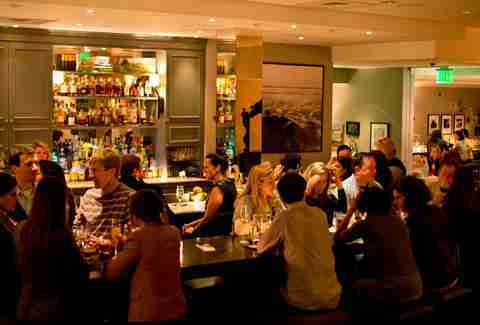 The bar is long, stylish, and usually packed, and the selection of small plates to accompany your drinks will keep you here until close. Fred Yarm is Loyal Nine’s head bartender and oversees the bar program at this East Cambridge coastal New England restaurant. 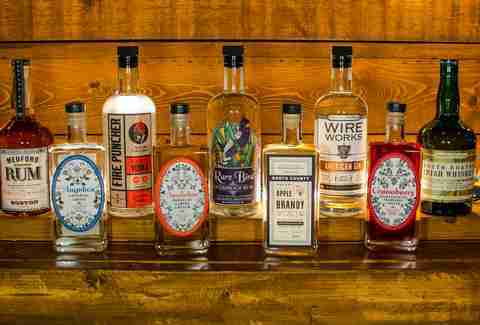 Loyal Nine’s cocktail menu features all your favorite classics with a rum and brandy focus. 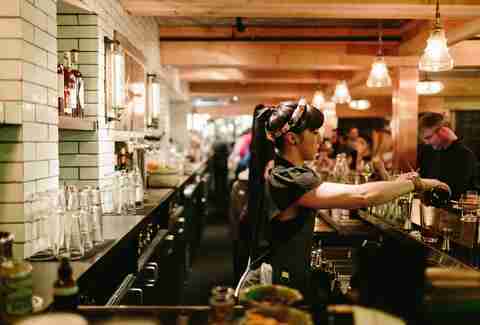 Imbibers can also expect several low octane aperitif-style options and mocktails. The wine list is massive and can be a lot to navigate, but the staff here will guide you through a drinking and dining experience that makes total sense. Plus, the beer and hard cider list is excellent. Loyal Nine features beers on tap that are often damn near impossible to find, even in the most up-to-date liquor stores: lots of sour beers, goses, and juicy IPAs. Stay for dinner or enjoy snacking on delicious bar bites. Nationally recognized as one of the country’s top bar owners, bar mentors, and craft tenders, co-owner and bar director Jackson Cannon has built an experience at The Hawthorne that revolves around a commitment to education, thoughtfully crafted cocktails, and curating exceptional moments for their guests, much like the one he curated at sister establishment Eastern Standard. Bar manager Jared Sadoian's focus for The Hawthorne's beverage program is on geniality, comfort, and sourcing high-quality spirits. The multi-room space is one of the nicest in Kenmore Square: warm and comfortable, with low tables and plenty of available armchairs -- it’s sort of like sitting in someone’s living room, but one that offers some of the best cocktails in town. This Charlestown spot came as welcome relief to residents tired of hopping on the Orange Line to elevate their drinking game. The bar and restaurant specializes in craft beer, regularly rotating through unusual, seasonal drafts and bottles, as well as a select number of ciders. The wine list, while small (and undeniably playing second fiddle), is thoughtful in its own right. The food menu focuses on all things wood-fired, including pizza -- topped not with traditional Italian ingredients but Vermont maple-cured ham, goat's milk feta, and Alabama white sauce -- and meaty small plates like oven-roasted mussels and meatballs. The restaurant’s no-reservation policy means that even on a busy night, you can head down to your local watering hole and have a classy yet laid-back time. It’s small, it’s loud, and you’ll be waiting in line on a Friday and Saturday night, but Deep Ellum is on this list representing the Allston–Brighton district because the staff there runs what’s clearly the most popular and well-developed beverage program in the area. The wine list is good, but the true hero of Deep Ellum’s offering is whiskey. 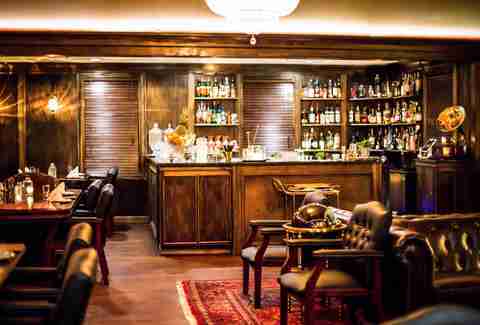 With seven different variations of the Manhattan on the menu, plus a long list of excellent house cocktails of all types, this bar is the type of place you can visit alone and consume multiple delicious cocktails while chatting with the bartenders all evening, Reuben sandwich in hand. The beer list is also impressive, with over 25 beers on tap and a large selection of ales, wheat beers, sour beers, ciders, and whatever beers are current right now. Take a step back from dreaming about Branch Line’s chickens for a second to consider its bar program. The downside: You will find no cocktails here. The up: The beer and wine lists are so complex and complete, you won’t need them. The beer list covers just about every style, with over 20 beers on tap and a focus on what’s new and exciting and important to showcase right now, including a rotating selection of hard ciders. And the wine list is enormous. Moving away from the traditional wine regions of Loire and Piedmont, partner/owner Andrew Holden wanted the list to be a cohesive collection of wines produced in coastal regions. Because of the nearby ocean, the terrains of these grapes make their wines particularly suitable for pairing with the pronounced flavors of the fresh, smoky, grilled, and rotisserie dishes Branch Line offers. Lastly, Branch Line's staff is incredible. From the bartenders to the folks attending to the flaming wall of rotisserie chickens behind the service counter, everyone is so friendly, welcoming, and attentive that their service skills are what you’ll truly be remembering months from now. Since opening in 2005, Eastern Standard has long been recognized as one of Boston’s finest drinking establishments; its bar program is often praised for a serious approach to seasonal drinks made with high-quality ingredients. 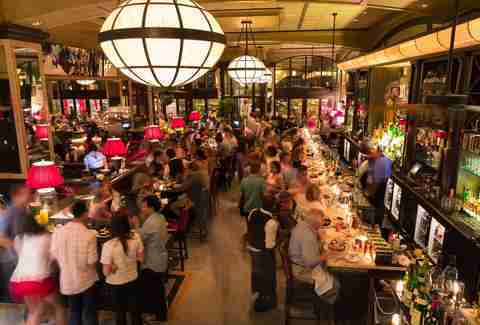 This place is huge, with a French brasserie-style interior and an educative approach to serving food and beverage. By now, we know that excellent hospitality is a massive part of running a successful business for Garrett Harker, who also owns several other establishments on this list, and this is a commitment that continues to shine here. Bar director Jackson Cannon oversees a well-balanced cocktail list that shares classic concoctions with patrons of all types, whether they’re there for a Sox game or a December 31 blowout. This wonderful little wine bar recently opened in Downtown Crossing, bringing something new to an otherwise largely ignored neighborhood of Boston. Who isn’t up for canned fish, charcuterie, and a heavy glass of red after a long day’s work? The concept was developed by Sportello alumna Haley Fortier, and she opened haley.henry in August of this year. Chef de cuisine Carolina Curtin is also a Barbara Lynch alum, having worked in the Menton kitchen in the past. 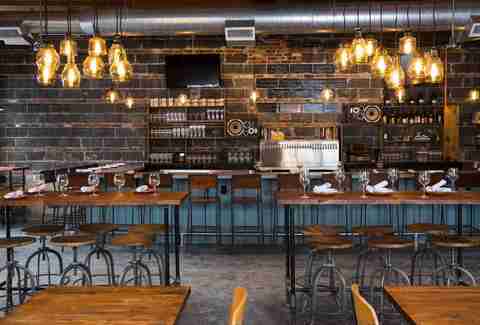 In this small, bright space you’ll find 18 seats at the bar and two four-top tables. It’s casual, it’s interesting, and with nearly 50 (mostly old-world) wines to choose from, whether full or half-bottle selections, haley.henry has created a great space to unwind. Did you know that Green Street owns the area’s oldest liquor license, dating back to the Great Depression? This might explain why the space has earned true institution status. Don’t let the Budweiser sign fool you: The tucked-away Central Square spot is where aficionados go when they tire of cocktail newbies crowding the bar of the moment. Drinks are well-considered and well-priced (under 10 bucks, by and large). Cocktail legend Todd Maul built it, and now the equally ambitious Tenzin Samdo has assumed the mantel. 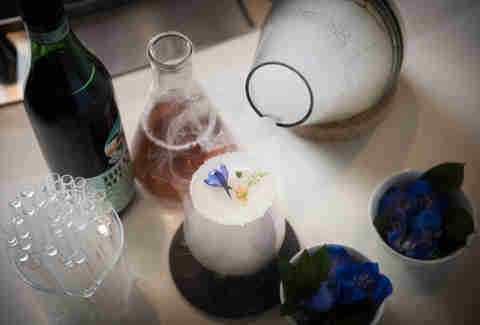 The revamped bar and restaurant still places science front and center, and Samdo’s new cocktail program reflects it, with seen-nowhere-else drinks like the clarified piña colada and sides like an actual sensory cloud (seriously, you whiff before before you drink). And FYI, Samdo’s singularly epic garnishes from his Tavern Road days are still front and center. Looking for locavore drinking? Drinks are slung mere feet away from the place where many of their ingredients are created, including vodka and flavored liqueurs (almond, cranberry). Bar manager Steve Schnelwar, formerly of Tavern Road, oversees the intimate venture, open Thursday to Sunday. Shuffleboard and foosball make it easy to make a night of it. Brothers Dave and Will Willis had already changed the city’s cocktail scene with its craft spirits, but now they’ve gotten into the bar act themselves. It’s a New Orleans-like lair -- a gothic, 26-seat affair decorated with Prohibition-era spirit bottles; you can grab a velvet booth or sit at the bar and gaze through the huge window at the distillery’s 750-gallon copper pot still. The best news? Each cocktail -- all made with BB spirits, natch -- is just $9. The much-adored Downtown barroom is home to a thoughtful variety of creative cocktails and a small-but-stellar selection of brews, if that's your thing. But you really should put a serious dent in the cocktail list; there’s even one of the best burgers in town on the menu to soak up all your liquid debauchery. Plus, a free bubble hockey machine in the back! Bourbon lovers, be on the lookout for one of the best whiskey smashes in town. Old-timers remember this place as the Enormous Room, a perfectly acceptable nighttime hangout that became far more alluring in its current incarnation. 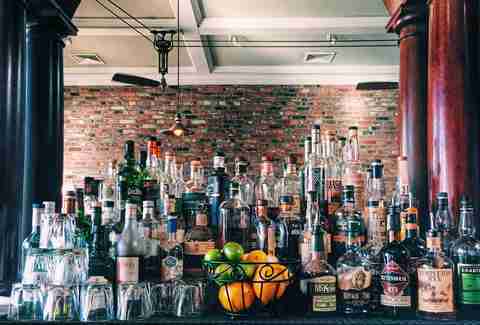 The upstairs speakeasy (no signage; just follow the waxed-mustache crowds) celebrates locally made spirits, seasonal ingredients, and a relaxed approach to imbibing: You’re here to savor, not quaff. Don’t be surprised if you miss your dinner reservation because you have to order just one more.